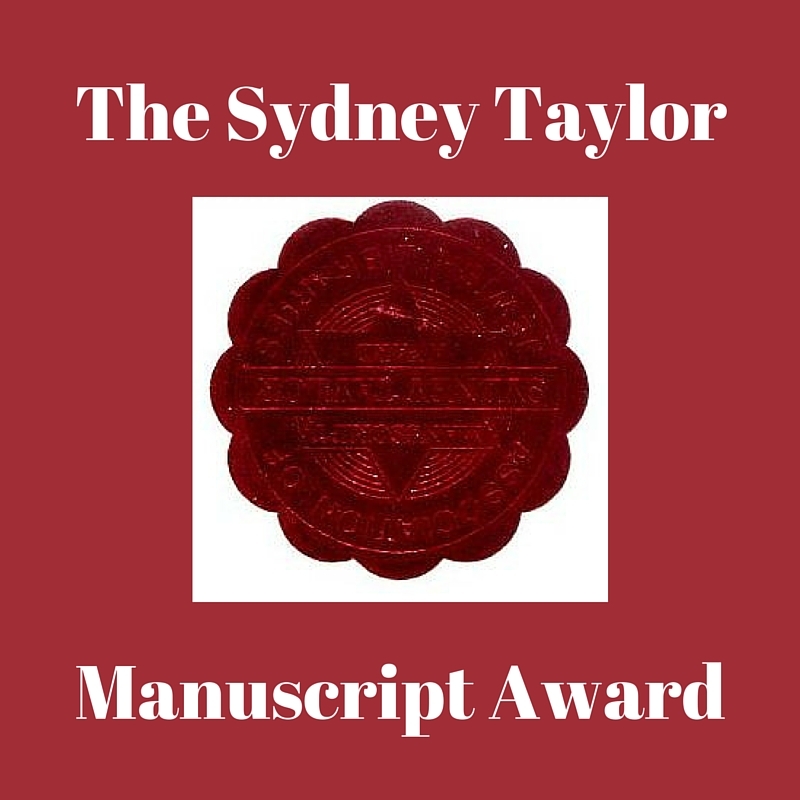 Heidi began the meeting by showing the three gold medalists for the 2017 Sydney Taylor Book Awards: I Dissent, The Inquisitor's Tale, and Anna and the Swallow Man. 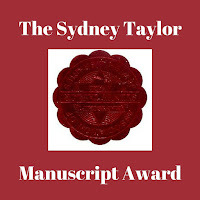 She also passed out lists of all winners, honor books, and notables. 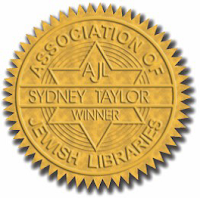 Other AJL business announced: an opening on the Sydney Taylor Book Award Committee, AJL's new Jewish Fiction Award, and the How Is This Book Different event. This event is co-sponsored by AJL, the Jewish Book Council, and Call Me Ishmael. Readers are invited to call 774-325-0503 between March 27-April 4, 2017 to leave a message about a Jewish book that made a difference to their life. Etta talked about why the AJL annual conference is valuable, and passed out information about the program, registration, etc. She also reported on programs at Temple Beth Am, and shared the story of how she rescued a program with a no-show speaker by using a video of that author's lecture at the Library of Congress. Sue talked about the difficulties of lending books to non-members (Canadian snowbirds) whose names they do not have on record. The group suggested collecting names of potential borrowers throughout the week in at other temple activities, so that these borrowers will not need to write their names on Shabbat. Ruth gave a short presentation about the biblical women who saved Moses. Please RSVP to Heidi at heidi [dot] rabinowitz [at] cbiboca [dot] org. 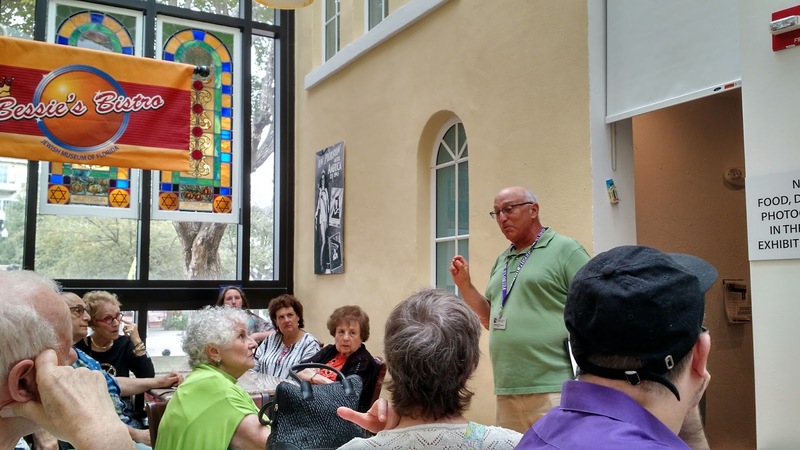 We gathered at Pita Loca for a delicious kosher lunch, then walked to the Jewish Museum of Florida, where a docent told us about the exhibit Discovery and Recovery: Preserving Iraqi Jewish Heritage. 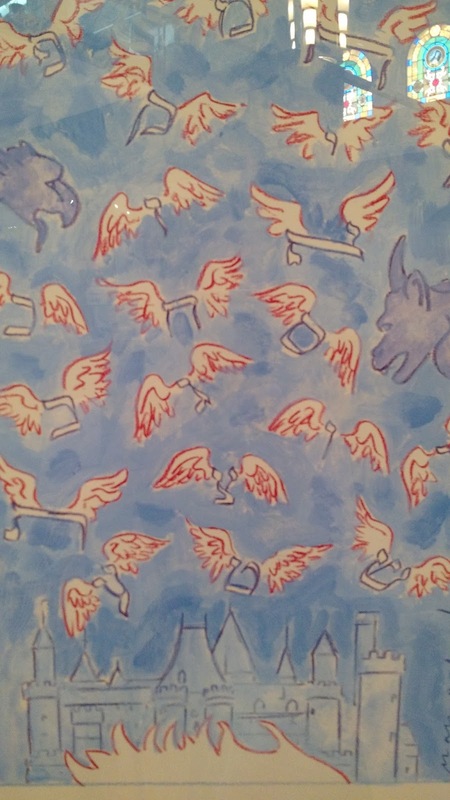 We also had the opportunity to view an exhibit by artist Mark Podwal, All This Has Come Upon Us, illustrations of various attacks on the Jews throughout history. While wandering the museum, we caught up with eachother's news and planned additional AJL projects. SFAJL will hold a chapter meeting on Tuesday, February 23, 2016 in Miami Beach. 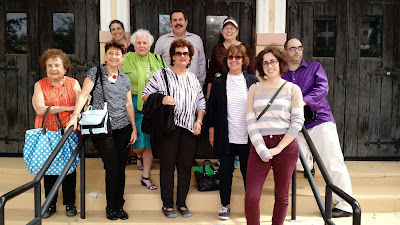 We will gather at Pita Loca (http://pitaloca.com/) at 11:30am for kosher lunch, then walk to the Jewish Museum of Florida (http://jmof.fiu.edu/) for a 1pm tour of the exhibit Discovery and Recovery: Preserving Iraqui Jewish Heritage. The tour will last approximately 2 hours. Museum admission is $5. Please RSVP to Etta Gold at egold@tbam.org. Parking is tight in Miami Beach, but here is a list of parking garages within range of our destination. All accept credit cards. Meeting called to order after a delicious lunch provided by Temple Beth Am. Since we had a small group, we spent some time doing in depth introductions of ourselves, getting to really know each other. 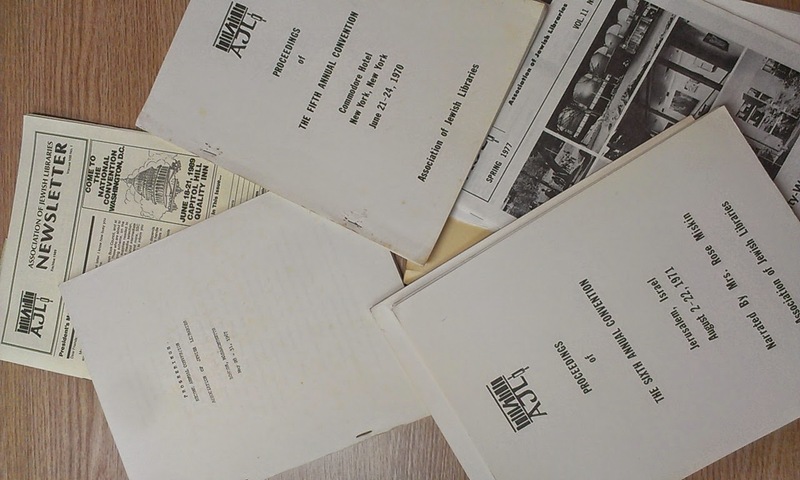 Etta Gold spoke about the value of attending the national AJL conference, and showed some "historical" program books from past conferences. 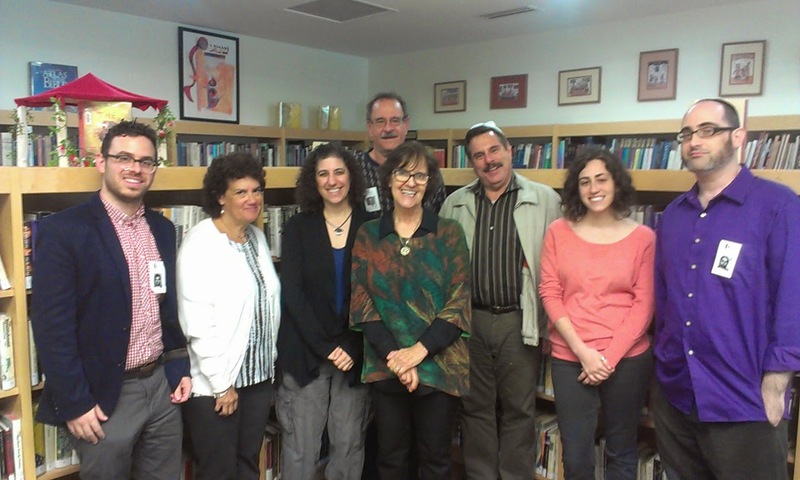 We discussed various other resources including AJL's revamped website, and FAU's Judaica Sound Archives, which have expanded to become the Recorded Sound Archives (non-Jewish material is now accepted). 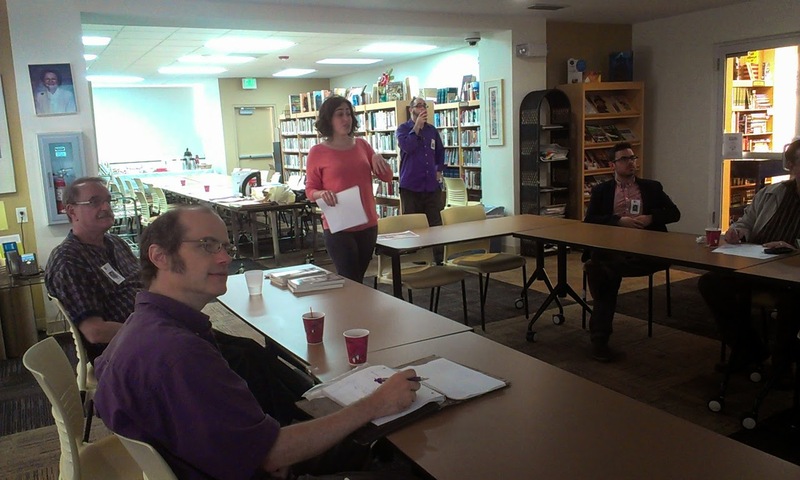 Danielle Winter reprised the presentation she had given previously at Temple Beth Am's Sunday Salon, a talk about children's books in Yiddish based on her research at the National Yiddish Book Center. Local author Steve Liebowitz talked about his historical novel Devorah: The Covenant and the Scrolls, Book 1. 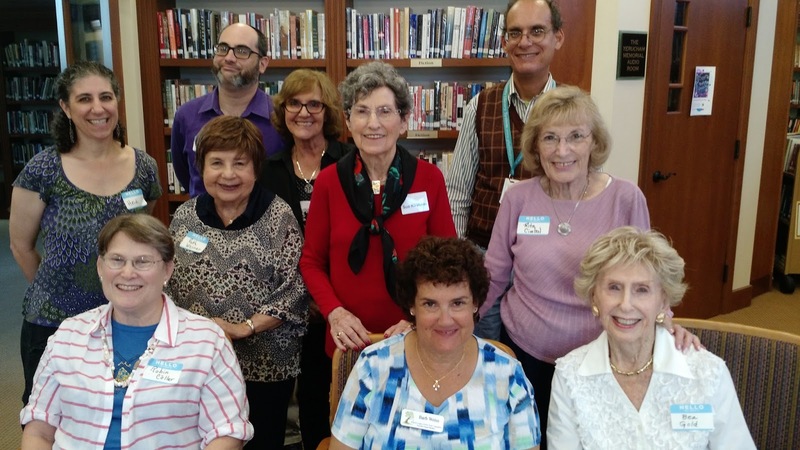 I am pleased to invite you to the South Florida Chapter of the Association of Jewish Libraries' first meeting of the year at Temple Beth Am in Pinecrest, FL. I am the newest member of the Chapter, having moved down to Florida in September to be the Library/Media Specialist at Temple Beth Am Day School. I look forward to meeting my peers in the area and discussing our relevance and programming for the year. Please join me in our Adult Reading Room for lunch at 11:45am on March 9, 2015, to meet both fresh and veteran librarians in our specialized field. I look forward to being in touch with you all.